An online lending platform, Upstart has changed how borrowers are evaluated and approved for personal loans, growing to incredible heights thanks to its steady focus on a simple philosophy – you are more than your credit score. Buying a new home? Purchasing a car? Trying to fire up a small business? It seems turning dreams into reality often hinges upon one thing: credit. When you're young, loans help you make serious purchases, like a car or your own place. I've taken out a few loans myself during my younger years, and they were instrumental to my success in building the life I wanted. But sometimes personal loans can even be used in unexpected ways to save you money. Usually, when you're looking to borrow, you'll need the help of a bank or another place that offers personal loans. Banks and lending institutions rely on information received from the three major credit reporting agencies—Experian, Equifax, and Transunion. Plus they'll consider your FICO score, an algorithm based on your credit history, to decide if they want to lend you money. But without a credit history, you'll barely have a credit score to speak of. And with a poor credit score, you can say goodbye to pretty much all of the above. This puts people with thin credit history in a bind. What's worse, FICO penalizes the handful who do have limited credit history for not having a decade's worth. An online lending platform, Upstart has changed how borrowers are evaluated and approved for personal loans. And it has seen incredible heights thanks to its steady focus on a simple philosophy. Upstart's founders are former Google employees Dave Girouard and Anna Counselman as well as Paul Gu, a Thiel Fellow. They felt that punishing consumers for not having established credit history was unfair. Not having history, they reasoned, was not the same as being a credit risk. Their observation was that credit markets were somewhat antiquated, especially around the prevailing notion that one's credit score is the end-all and be-all of a person's ability to repay a loan. Company founder Dave Girouard says, "FICO is inherently backward-looking, what you've done with credit in the past." He says, "We like to view it as identifying someone's potential, where they're going." This approach, I have to say, makes a lot of sense. Using technology and data science is a better way to issue credit. Allowing this concept to brew in their minds, they developed Upstart. You are more than your credit score. This philosophy resonates particularly with millennials who feel the burden of being judged based on a three-digit number, instead of their actual financial ability and worth. Many of these young adults have student debts and limited credit histories which may reflect in their credit scores, leading lenders to judge them as untrustworthy borrowers. But that doesn't necessarily mean these millennials aren't or won't be financially successful. At this point it's worth noting that Upstart's services aren't limited to just millennials. Girouard states that the company aims to serve all buyers with minimal credit and work histories. The very people who find it difficult to get approved for loans. However, buyers must be at least eighteen years old. Upstart's underwriting model is what makes this company so unique. It uses a combination of typical underwriting criteria, such as your income, credit report and FICO score. But then it also considers unconventional criteria, such as employment history and educational achievements like your GPA, standardized test scores, and colleges attended. These factors are plugged into an algorithm to determine a borrower's creditworthiness. Upstart is good for borrowers, but it's also great for investors looking for smart ways to grow their money. Currently, Upstart's network extends an opportunity to invest in Upstart loans directly. However, this option is only issued to accredited investors. According to the SEC, an accredited investor is someone who has over $1 million in assets or earned $200,000 a year for the last three years individually or $300,000 as a household. 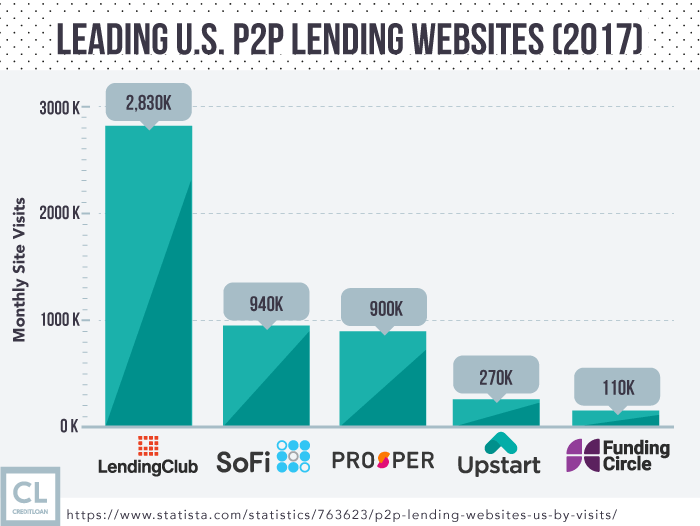 Upstart's initial model involved peer-to-peer lending capabilities. With this model, investors were able to browse through loans and select the ones they wanted to invest in. Investments could be as little as $100. In return, they would receive a percentage of that borrower's future income. Upstart would then service the loan and distribute returns to the investors as they came due. This model saw some success but didn't last too long. Instead, the company decided it needed a traditional model with payback periods and APR. Today, individual investors back all of Upstart's loans. In return, they receive individual payments based on the interest rate for that loan. Upstart also keeps a share of the earnings. Interest rates for these loans vary from 6–18%. In comparison, the average return on investment hovers around 10%. Led by Rakuten, a Japanese e-commerce firm, and a large U.S.-based asset manager, this online lending platform raised $32.5 million in 2017 alone. That same year, Upstart grew originations by nearly 300%—and they expect to grow by triple digits in 2018. According to Girouard, 100% of investors who have put money in more than twenty loans have seen a positive return. Upstart has a clean, intuitive website that helps show you how you can invest, borrow, or partner with them. This company's success begs the question: How did it manage to fulfill its initial philosophy and do it so well? 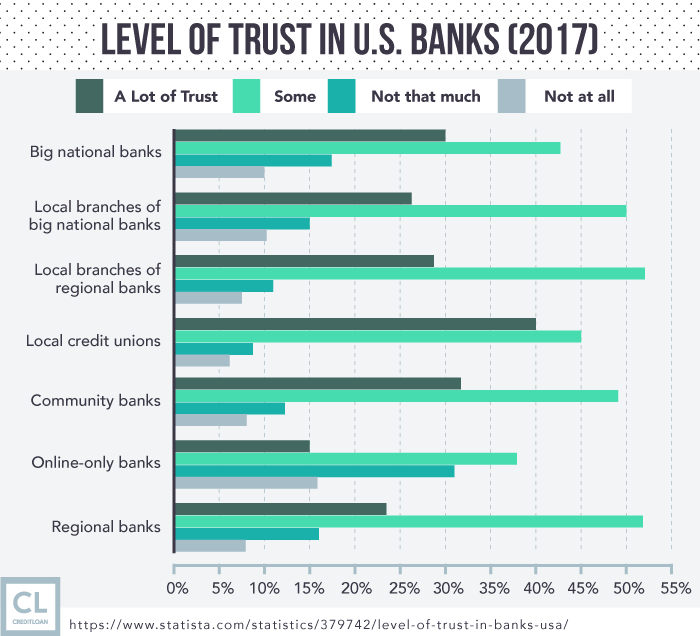 First, they used machine learning (ML) and artificial intelligence (AI) to determine the creditworthiness of applicants, many of whom traditional lenders would likely reject. Second, they partnered with banks to get their loan products in the hands of as many borrowers as possible. Let's dive a bit deeper into what all these things mean. I've always believed in the power of technology tools to transform and revolutionize our way of life. In fact, some of my favorite tools include SEOmoz.org and Google Analytics, both of which I use to great effect for my businesses. Because they are powered by artificial intelligence, these tools are efficient and they excel at what they do. Upstart shares this affinity for tools, too, and has used them in its model. Determined to be different from other lenders, Upstart has implemented an artificial intelligence and machine learning algorithm. These tools underwrite credit applications without heavily relying on credit scores, like FICO. With machine learning and artificial intelligence being such a routine part of our world now, Upstart's founders thought that the credit and lending space shouldn't get left behind. Girouard references how cars will drive themselves. He also mentions how Google and Amazon have created gadgets that talk to you as though they are human. "In lending we are the first company to apply these types of technologies to lending," he says. The company uses AI and ML to automate the borrowing process. These tools are useful for many components of its underwriting process. They are used for everything from verifying a borrower's identity, to approving them, to pricing credit. In fact, 25% of the company's loans are fully automated from start to finish, requiring no human intervention whatsoever. Upstart gathers as much data as possible about loan applicants, even analyzing how they interact with the application itself. Upstart then uses AI and ML to crunch data and model risk. As Girouard stated, other industries already use these techniques, but Upstart is the first lending platform of its kind to use them to make wiser lending decisions. Using this revolutionary technology and tools, it observes loan performances to learn and modify how future loans should be priced. Upstart uses much more data for its credit decision than other lenders. This allows it to better understand the employment standing and earning-potential of its applicants. Most conventional lenders will label all inexperienced borrowers as high risk. It tries to understand each person's financial capacity and ability to repay the loan. And it can do so well with the use of AI and ML tools at its disposal. You might assume big banks are direct competition for a company like Upstart. However, instead of viewing them as the enemy, Upstart found a way to collaborate so that everyone benefits. Actually, leveraging bank partnerships is the other reason its able to manage its philosophy so well. Upstart's CEO says choosing between direct to consumer and bank partnerships is like choosing between his children. They're both super important to the business model. But banks do come with their own special set of benefits. "By partnering with banks," he says, "we expect to have a far broader impact on the industry." Bank partnerships are important—they help Upstart get its loans into as many hands as possible. To gain exposure through banks, Upstart licenses its online lending platforms to traditional financial institutions. In fact, the company is also taking it one step further by pitching its own B2B product—Powered by Upstart. This is a way to help banks and other financial institutions enter the digital lending business without the need for them to have to build out their own systems from scratch. By partnering with banks and allowing them to penetrate the online lending business, Upstart hopes to have a greater impact on the financial industry as a whole, and offer compelling personal loans. Upstart has proved that with a keen focus on a single goal, success is possible, if not probable. If we were to distill the most important lessons from their success story into just two, here are the ones we'd pick. Lesson #1 – Finding your blue ocean sets you free. The blue ocean strategy is pretty straightforward and simple to understand. It means that competing in an overcrowded industry is no true way to success. The real opportunity lies in finding your own vast space of unexplored ocean or uncharted market space. That's exactly what Upstart did through its official philosophy. Their focus from the onset was on the underserved: The people who had no credit history and who would otherwise be ignored or rejected by traditional lenders. Sometimes, finding your blue ocean is a matter of looking to a completely unrelated industry to apply your expertise in solving its most basic problems. Many of Upstart's founders are former Google employees. Working in the company allowed them to apply familiar technologies and techniques they've used at Google in a completely different environment and industry. Lesson #2 – Following your north star leads to a philosophy that guides you to success. Upstart has never forgotten the reason it got into the lending business in the first place. The company never lost sight of its initial goal, even as they began to roll out plans and started executing them. Upstart wanted a better, more efficient way to assess creditworthiness. Plus, it wanted to create opportunity for people who had a deficient credit history to find access to loans and credit. It made business decisions, including licensing its technology and partnering with banks, while still keeping its initial philosophy in mind. Upstart used and combined all of its available talent and technological expertise to achieve its initial goal to find a better way to approve people for credit instead of relying on traditional metrics. In other words, the company consciously allowed its initial goal, its original objective, to serve as the guiding light behind all of its actions, and by doing so, it has kept true to its purpose. Upstart's success is due to its unwavering commitment to serving people with little to no credit history. It caters to Millennials as young as 18, considering their GPA and other educational achievements, rather than allowing their practically non-existent credit history to affect their ability to get a loan. The company has achieved its philosophy by focusing on two things. Its artificial intelligence and machine learning capabilities make it one of a kind. And this use of technology lets it lend money with more confidence and fewer defaults. But the other thing that has helped it continue to grow is leveraging bank relationships. This allows it to get its platform in the hands of more customers. It also allows traditional banks to quickly build their own online lending platform, if they wish. It's achieved success by competing in a space that has little competition. It has also let its initial philosophy serve as its north star, guiding it to great heights. The company has no plans to stop its gaining momentum. According to Girouard, the company is looking to offer other types of consumer loans soon. One of those is a way to pay for purchases using a financing option in lieu of cash or credit card. This aggressive, proactive stance to expand proves that the company is growing and will continue to grow to become one of the most respected players in the lending space. Upstart has proven that with relentless team effort—driven by a clearly-defined goal, a steadfast philosophy, and an unwavering focus—achieving business success is more than possible. Have you heard of Upstart before? What impressions do you have about the company or its philosophy? Are there other companies whose core philosophy you admire? We can't wait to hear from you! Please share your thoughts in the comments section below.